Morocco (Arabic: ?????? Al-Maghrib; Berber: ??????? Elma?rib) is a kingdom in North Africa, at the Atlantic Ocean and the Mediterranean Sea. Morocco has 34 million inhabitants, and a rich heritage from the Islamic Golden Age. For Europeans, Morocco has been, and remains, the gateway to Africa. 1 Rabat (Arabic: ???????? ?, Berber: ?????) – The capital of Morocco; very relaxed and hassle-free, highlights include a 12th-century tower and minaret. 4 Fez (Arabic: ???? ?, Berber: ???) – Fez is the former capital of Morocco and home to the oldest university in the world, the Qarawiyyin University, in its well preserved old city. 5 Marrakech (Arabic: ?????? ?, Berber: ????????) 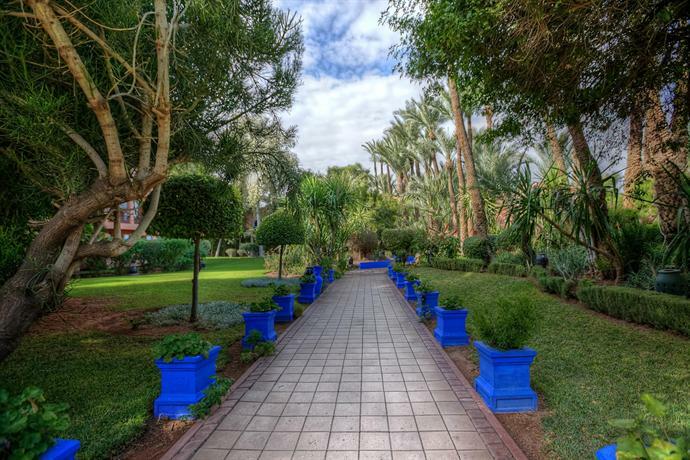 – Marrakech (also known as Marrakesh) is a perfect combination of old and new Morocco. Plan to spend at least a few days wandering the huge maze of souks and ruins in the medina. The great plaza of Djeema El Fna at dusk is not to be missed. 6 Meknes (Arabic: ???? ?, Berber: ??????) – A modern, laid-back city that offers a welcome break from the tourist crush of neighbouring Fez. 7 Ouarzazate (Arabic: ???????? ?, Berber: ????????) – Considered the capital of the South, Ouarzazate is a great example of preservation and tourism that hasn't destroyed the feel of a fantastic and ancient city. 8 Tangier (Arabic: ????? ?, Berber: ?????) – Tangier is the starting point for most visitors arriving by ferry from Spain. An enigmatic charm which has attracted numerous artists (Henri Matisse), musicians (Jimi Hendrix), politicians (Winston Churchill), writers (William S. Burroughs, Mark Twain) and others (Malcolm Forbes). 9 Tetouan (Arabic: ???? ?, Berber: ????????) – Nice beaches and is the gateway to the Rif Mountains. The earliest known independent state of Morocco was the Berber Kingdom of Mauretania under Bocchus I. This kingdom dates back to 110 BCE. From the 1st century BCE, Morocco was part of the Roman Empire as Mauretania Tingitana. Christianity was introduced in the 2nd century CE and gained converts in the Roman towns, among slaves and Berber farmers. In the 5th century CE as the Roman Empire declined, the region was invaded from the north by the Vandals and later the Visigoths. In the 6th century, northern Morocco became part of the Byzantine Empire. Throughout this time, however, the Berber inhabitants in the high mountains of the interior remained independent. In 670 CE, the first Islamic conquest of the North African coastal plain took place under Uqba ibn Nafi, a general serving under the Umayyads. The indigenous Berber tribes adopted Islam, but retained their customary laws. They also paid taxes and tribute to the new Muslim administration. The first independent Muslim state in the area of modern Morocco was the Kingdom of Nekor, an emirate in the Rif Mountains. It was founded by Salih I ibn Mansur in 710, as a client state. After the outbreak of the Berber Revolt in 739, the Berbers formed other independent states such as the Miknasa of Sijilmasa and the Barghawata. According to medieval legend, Idris Ibn Abdallah had fled to Morocco after the Abbasids' massacre of the tribes in Iraq. He convinced the Awraba tribes to break the allegiance to distant Abbasid caliphs in Baghdad and he founded the Idrisid Dynasty in 788. The Idrisids established Fez as their capital and Morocco became a centre of Muslim learning and major regional power. The Idrisids were ousted in 927 by the Fatimid Caliphate and their Miknasa allies. After Miknasa broke off relations with the Fatimids in 932, they were removed from power by the Maghrawa of Sijilmasa in 980. From the 11th century to the early 20th century onwards, a series of dynasties including the Almoravids, Almohads, Marinids, Wattasids, Saadis and Alaouites ruled Morocco until it was controlled by the Spanish and French. Morocco's long struggle for independence from France ended in 1956. The internationalized city of Tangier was turned over to the new country that same year. Morocco annexed Western Sahara during the late 1970s, and even though the status of the territory remains unresolved, all maps in Morocco show Western Sahara as an integrated part of Morocco. Gradual political reforms in the 1990s resulted in the establishment of a bicameral legislature in 1997, although the king still possesses the actual political power. The press is mostly state controlled even though there are free newspapers, and clampdowns have occurred following criticism of the authorities or articles concerning the Western Sahara situation. Morocco is a good place to see varied cultural heritages including those with African, Arabic, Berber, Moorish and Western influences. The voltage in Morocco is generally 220 V, and outlets will fit the two-pin plug known as the Europlug. It's probably the most commonly used international plug, found throughout continental Europe and parts of the Middle East, as well as much of Africa, South America, Central Asia and the former Soviet republics. Europlugs are included in most international plug adapter kits. American and Canadian appliances, which are built to use 110 V. may be damaged if they're plugged into a 220 V unless your appliance is "dual-voltage" (designed for both 110 and 220 V). If not, you'll need a power converter as well as an adapter. The biggest event on the Moroccan calendar is the month of Ramadan, during which Muslims fast during the day time and break the fast at sunset. Most restaurants are closed for lunch (with the exception of those catering specifically to tourists), and things generally slow down. Travelling during this time is entirely possible, and the restrictions don't apply to non-Muslims, but it's respectful to refrain from eating, drinking or smoking in public during the fast. At the end of the month is the holiday of Eid al-Fitr, when practically everything closes for as long as a week and transport is packed as everybody heads back home. 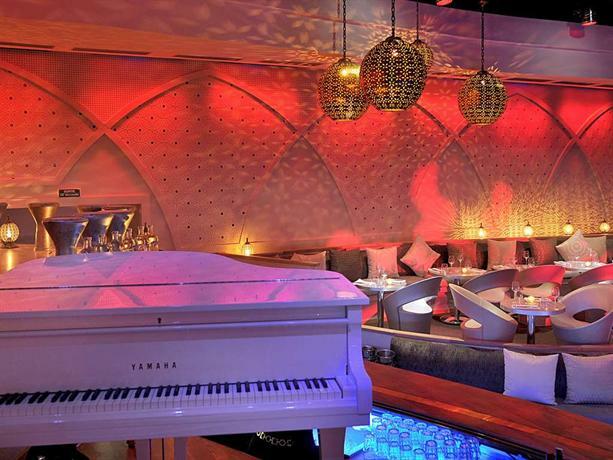 Alcohol consumption is not prohibited for tourists during Ramadan; there are a few restaurants and bars serving alcohol. Also, alcohol can be purchased in a supermarket, but only if a tourist shows their passport to the staff, as Moroccans are not allowed to buy or consume alcohol during the holy month. If you are adventurous at heart, a good time to visit Morocco for trekking in the desert is February. You can enjoy coastal areas or beaches at Essaouira in July. April is the best time to visit the Imperial towns in Morocco. The peak tourist season in Morocco is July and August. For tourists from countries that need a visa to enter Morocco, the Moroccan Embassy is usually the first port of call. They charge the equivalent of UK £17 for a single entry and £26 for double or multiple entries. (Double or Multiple entries will be issued at embassy discretion). Visas are usually valid for 3 months and take around 5-6 working days to process. Visa requirements are: completed application forms; four passport-size photos taken within the previous six months; valid passport with at least one blank page and with a photocopy of the relevant data pages; Fee, payable by postal order only; a photocopy of all flight bookings and a photocopy of hotel reservation. Tourists can stay for up to 90 days and visa extensions can be a frustrating and time-consuming process. (You may find it easier to duck into the Spanish-controlled Ceuta or Melilla and then re-enter Morocco for a new stamp). Anti-cholera vaccination certificates may be required of visitors coming from areas where this disease is prevalent and pets need a health certificate less than ten days old, and an anti-rabies certificate less than six months old. Major airlines that serve Morocco would most likely be landing at Casablanca. In addition to destinations across Europe, Africa, and the Middle East, one can also fly intercontinental from New York, Washington, D.C., Montreal, Rio de Janeiro and Sao Paulo. Other popular entry points include Marrakesh, Agadir, Fes, Rabat, and Tangier, to which many European low-cost carriers either year-round or seasonally fly. Easyjet — Now fly at budget prices from London and Manchester to Marrakech and Casablanca. Another option is from Paris - Charles de Gaulle to Casablanca. Ryanair — flies to Morocco from Bergamo, Girona, Reus, Bremen, Madrid, Brussels, "Frankfurt"-Hahn, Eindhoven,London, Porto. Flying to Fez 3 times per week. Flights to Marrakesh are also available. A Bergamo-Tangier route opened in July 2009. Royal Air Maroc — The state airline, which drastically needs a price cut. Air Arabia Maroc owned by Air Arabia, is another low cost carrier which flies to other Moroccan destinations, France, Italy, Spain, Netherlands, Belgium, Tunisia and Turkey. Jet 4 You — A low-cost carrier with extremely cheap tickets from France and Belgium. Thomson fly — Flights from Manchester to Marrakesh and are very reasonably priced. Binter Canarias — Flights from Canary Islands to Marrakesh. Emirates — Flights from Dubai to Casablanca. You can enter via ferry or via the two only open border posts on land connected to the Spanish enclaves of Ceuta and Melilla. The frontier with Algeria has been closed since 1994. For the closest maritime connection you head for Algeciras or Tarifa in southern Spain. At Algeciras there are ferry services to Ceuta and Tangier that carry cars. Tarifa has a similar service to Tangier and this is the shortest and fastest route, just 35 minutes. It's possible also to enter Mauritania by car from Dakhla. Most countries' citizens need a visa to enter Mauritania which is available at the Mauritanian embassy in Rabat (visas are no longer issued at the border). It might be hard to get into Morocco with a commercial vehicle. Camper vans are acceptable (but they must look like a camper van), but other commercial vehicles might get turned around and prevented from travelling onwards. If you want to take a commercial vehicle, and there is more than one person travelling, it may be worthwhile if a French-speaking person travels to any international border with Morocco of your choice and meets with the head of Customs before you bring in a commercial vehicle. There are several ferry connections to Morocco, mainly from Spain. Algeciras is the main port and serves Ceuta and Tangier. A ferry between Algeciras and Ceuta takes 40 min, and less than 2 hr to get to Tangier. You can also get to Tangier from the small port of Tarifa, on the southernmost tip of mainland Spain. This will take 35 min or 1 hr, but delays up to four hours are possible. Some companies run buses between Tarifa and Algeciras for free (25 min), so you will have no problems getting to the train station. Other Spanish ports that have connections to Morocco are Malaga and Almeria, which are connected with Melilla and the adjacent Moroccan town of Nador. Ferries from France also go to Tangier, from the port of Sète near Montpellier and Port Vendres near Perpignan. However these ferries are rather expensive. The Italian towns of Genoa and Naples also have direct connections to Tangier. The British dependency of Gibraltar connects to Tangier through a high-speed boat service. Ensure your ticket takes you to the right port, 1 Tanger Med for instance is 50 km from Tangier the city. From the south of Spain (Estepona) a sailing yacht will take you for a few days to the north east of Morocco (Smir). From Tarifa to Tangier the ferry costs €34 per adult without a vehicle using on-line booking. An open return costs €54, (March 2013). However, you can get the ferry ticket from Tangier at 390 dirham (about €36). To Algeciras from Tangier, it costs 395 dirham single. However you are travelling, work out which direction you are heading and where the sun will be for the majority of your trip and choose a seat on the shady side. Trains are generally the best option because of their speed, frequency and comfort. However, the network is limited, linking only Marrakech and Tangier via Casablanca and Rabat. A branch line to Oujda starts at Sidi Kachem linking Meknes and Fez to the main line. A high speed rail line connecting Tangier to Casablanca via Rabat is under construction with first section to Kénitra opened in November 2018, reducing travel times between Tangier and Casablanca to just over two hours. The rail network is operated by ONCF. Tickets can be purchased both online and at stations and they are very cheap compared to Europe. For example, a single from Tangier to Marrakech costs about 200 dirham second class, or 300 dirham first class. Casablanca to Marrakech - 90 dirham for second class. The only drawback with Moroccan trains are that they are very frequently delayed, so don't count on the timetables if you are in a hurry. People are incredibly sociable and friendly on the trains in Morocco and you will find yourself perpetually talking to strangers about your journey. Each new person will advise you on some new place you should go or invite you to their home for couscous. Stations in smaller cities are often poorly marked, and your fellow passengers will be more than happy to let you know where you are and when you should get off. It's expected to greet (Salam) new passengers entering your compartment, and if you bring fruit, cake, etc., it's common to offer the other passengers something as well. If you spend a little extra for 1st class you increase your chances of meeting someone proficient in many languages. There are three daily departures from Tangier, bound for either Oujda or Marrakech, although all of them can be used to reach either destination as there are corresponding trains in Sidi Kachem using the opposite branch of the train coming from Tangier. The night trains between Tangier and Marrakech offer couchettes for an extra 100 dirham. This is the only option if you would like to lie down sleeping as there are obstacles between the seats in regular compartments. First class train cars are supposed to have working air conditioning, however, not all train cars with air conditioning have it in working mode, so it's advisable to bring with you plenty of water (there are no vending machines on ONCF trains, unlike SNCF or TrenItalia trains, and the conductor with a vending cart is not often easy to find). For example, the travel time between Tangier and Fez is about 5 hours and with no AC and no water, the ride can become unbearable in the summer desert heat. When you arrive at a station, to reaching the platform you'll need to validate your ticket (checkpoint at the entrance). Luxury buses are the next best bet, with almost universal coverage, if somewhat odd departure times in some places. CTM, Supratours and some smaller companies provide good comfort with reasonable prices. Supratours buses offer specific tickets to link with the rail system and are bookable on the train company website as Supratours is run by it. All bus companies charge for baggage separately, however CTM is the only one that does this officially and provides baggage receipts. On Supratours, whoever takes your bag will demand up to 20 dirham (pay no more than 5 dirham). Nearly every city has a central bus station where you can buy tickets to travel from region to region (and in some cities certain companies run their own stations - mostly that applies to the operators CTM and partly Supratours). You can either choose the buses for tourists with air-conditioning and a TV. Or you can also take the local buses which cost only 25-50% of the tourist buses and are much more fun. They are not very comfortable, but you can get in contact with the local people and learn a lot about the country. The buses often take longer routes than the big ones, so you can see villages you would never get to as a "normal" tourist. For heat-sensitive people this is not advisable though, as locals may tell you that 35 degrees is "cool" and no reason for opening a window. The route from Rissani, Erfoud, and Er Rachidia to Meknes and Fez, while long, runs through the Middle and High Atlas and is particularly scenic. Supratours, a major rival of CTM, complements the train network to Essaouira and all major Atlantic-coast towns south to Marrakech. Local buses are a completely valid choice for the hardier traveller, and often even have more leg room than the luxury buses although this may be just because the seat in front of you is disintegrating. They can be extraordinarily slow as they will stop for anyone, anywhere, and only luxury buses are air conditioned (and locals hate open windows). On local buses only, the ticket is sold directly by the driver. Prices for petit taxi are reasonable and it's the law that taxis in town should have a meter - although they are not always on. Insist that the driver starts the meter. If not, ask for the fare before getting in (but it will be more expensive). Operate between towns; fares are semi-fixed and shared equally between passengers. However, there are six passenger seats per car not four (this is for the ubiquitous Mercedes, there are 8 or 9 seats in the bigger Peugeots in the southeast). Two people are expected to share the front seat, with four across the back. If you want to leave immediately or you want extra space you can pay for any additional empty seats. Grand taxis generally cost less than a luxury bus but more than the local bus. Late at night, expect to be charged a little more than at daytime, and also to pay for all the seats in the car as other customers probably won't show up that late. Petit taxis are not allowed to leave the city borders and is thus not an option for travelling between cities. The grand taxi is a shared, generally long-distance taxi, with a fixed rate for specific route; the driver stopping and picking up passengers like a bus. Grand taxis are usually found near main bus stops. Negotiate on price if you want a journey to yourself and this will be based on distance travelled and whether you are returning—but price per taxi should not depend on the number of passengers in your group. When sharing grand taxi with others, drivers may cheat tourist-looking passengers charging higher—look how much locals around you pay; don't worry to ask other passengers about the normal price, before boarding or even when you're in. Grand taxis are usually 10-year-old Mercedes, regular saloon cars that in Europe are used for up to 4 passengers plus driver. For a grand taxi, it is normal to share a car between up to 6 passengers. The front seat is normally given to two women (as local women are not allowed to be in contact with a man, they rarely take rear seats). Travellers often pay for 2 seats that remain unoccupied to travel with more space inside, and hence comfort. Grand taxis can also be hired for approximately the price of two petit taxis for shorter trips. This is useful if your party is of four or more. Beware, some taxi drivers will refuse to drive off until the taxi is full, potentially causing you delays. Alternatively, for a relatively reasonable sum (depending on the driver), you can hire a grand taxi in Marrakech for the entire day, allowing you to explore the Ourika valley. Taxi owners vie with each other to add extras such as sunshades. A clean vehicle and smart driver is usually a good sign of a well maintained vehicle. Be aware that most grand taxis operate only on a single route and that for trips outside of their licensed route they need to get permission from police first. If you plan to take a grand taxi for a custom tour it is best to book one day ahead to give the driver time to get this permission. Domestic flying is not a popular means of transportation, however, Royal Air Maroc, the national flag carrier, has an excellent but expensive network to most cities. Other airlines include Air Arabia Maroc and Jet4you.com. The Casablanca tramway is 30 km long, with 49 stops, and Y-shaped. Tickets cost 6 dirham; buy your ticket before boarding. You have a choice between a rechargeable ticket valid for 10 journeys only, or a rechargeable card, valid for 4 years. This is, after the Rabat-Salé tramway, the second tram system in Morocco, but also the largest system in number of stations and the length of the route. The main road network is in good condition but due to the lack of dedicated cycling lanes and pedestrian paths in all but the largest cities, they are shared by many cyclists, pedestrians and horse-drawn vehicles. Roads have a good surface, although some are very narrow, in most cases only one narrow lane in each direction. Many roads in the south marked as sealed actually have only a central strip, one lane wide, sealed with wide shoulders to be used every time you meet oncoming traffic and this is a sensible economic solution in these areas of sparse traffic and long straight roads - except when you can not see oncoming traffic because of windblown dust! The main cities are connected by toll expressways still being extended. Another expressway (A2) goes eastwards from Rabat to Fez some 200 km down the road. It comprises part of the planned transmaghrébine expressway that will continue all the way to Tripoli. South from Casablanca runs the A7. It was planned to reach Agadir in December 2009 but only goes as far as Marrakech 210 km south of Casablanca. The A2 between Fez and Oujda on the Algerian border has been completed, but the border is still closed. Road signs are in Arabic and French and the traffic law is as in much of Europe (i.e. you give way to the right). This means that traffic on a roundabout gives way to that entering unless indicated otherwise by yield-signs at the entrances to the roundabout. Be very careful as many drivers respect signs only if a policeman is nearby. The speed limit is enforced especially the 40kph in towns and on dangerous intersections where fines are imposed on the spot. General rule is that vehicles larger than yours should be given a priority: trucks, buses and even grand taxis. Despite the dangers listed below, the average Moroccan driver is very attentive, caring and friendly. Oncoming traffic will signal with wide beam if there is danger ahead (police, potholes, accident). Because nobody seems to be following rules, everybody is always expecting erratic behavior from other drivers and one thus encounters less accidents than one would expect. Fuel is not so common in the countryside so plan ahead and get a good map. As of 2017, contraband fuel is a real problem and it can do various bad things to your car (from corroding the tubes to damaging your engine); the rule of thumb seems to be that Total and Shell are safest but they too sometimes get inferior fuel. It's always best to ask a local or to use gas stations where lots of local cars get their fuel (number at end of number plate defines location, so, e.g. in Tiznit, gas stations with lots of cars that have 37 as area code are a good bet). If you rent a car, ask when renting; also: even when renting don't ignore this issue, modern cars will proactively protect the engine by limiting it to 3000rpm. Do not be intimidated by other drivers. Make sure that you drive predictably, and don't do anything rash. Instead of crossing 3 lanes in the last second like some locals do, rather miss the turn and do 3 rights. Either use a navigation system or have a co-driver with a map. There ain't many road signs and one rarely can stop at the road side to study a map. If you don't feel OK with the traffic, turn around, park in the outskirts and use a taxi. It might turn out cheaper than the water you have to drink to replace the sweat from driving in those circumstances. There are numerous police checkpoints on the main roads where you must either slow down or come to a complete stop. Which it is depends on the sign. Either do like the car in front of you does or, if in doubt, just stop until you are signaled to move on. Although they are generally in good condition, they can have deep potholes, even in the largest cities. Pay attention to what the car in front of you does, chances are, the driver knows the road better than you. Road signs are always to be taken with a grain of salt. If you may go 80km/h, it does not mean you can. An "attention, curve ahead" can mean "1 degree correction on the steering wheel" or 359 degrees. And sometimes sharp turns don't have warnings while the previous 100 slight bends had one. People who live in the countryside use the roads as pedestrians, on bicycles or donkeys. This is especially dangerous at sunset, when you (and they) are blinded by the low sun, and at night, when they appear seemingly out of nowhere in dark djellabahs. Animals cross the road with utter disrespect for traffic rules. Unless you want to be confronted with angry villagers because you killed a sheep or experience the impact a camel's body has on your windshield, take care and always watch the roadside. Sand: in the few areas that have dunes, sand can get onto the road and it is sometimes difficult to spot from a distance. Brakes on trucks and buses are, just like the vehicles themselves, sometimes in very bad shape. Some cars and trucks are seriously overloaded and might lose part of their cargo en route. Police are actively fighting these issues and they got much better over the years, but as of 2017, these warnings are still valid. Tailgating is a serious problem, less for the car in front but for oncoming traffic: People will drive 1 m behind a truck, swerving into the other lane just to be able to see whether they can overtake. Whenever you have a truck coming up ahead, get off the accelerator, prepare to brake and get to the far right side of your lane. Signaling is considered optional by most drivers. Or they start signaling the moment they change lanes or do the turn. In roundabouts, one can count on people in outer lanes cutting off those in inner lanes. Try to stay in the outer lane, if possible. As of 2017, at least in Agadir, police are posted at every roundabout to enforce traffic rules. So far, the effect is negligible. Drunk driving happens though usually only from late at night until very early morning. Some people ignore traffic rules altogether with impunity because they happen to be important themselves or know someone who is important or because they bribe police. Always expect that someone goes twice as fast as you do. Rental firms abound in the large cities. Most worldwide rental networks have their offices in Morocco. 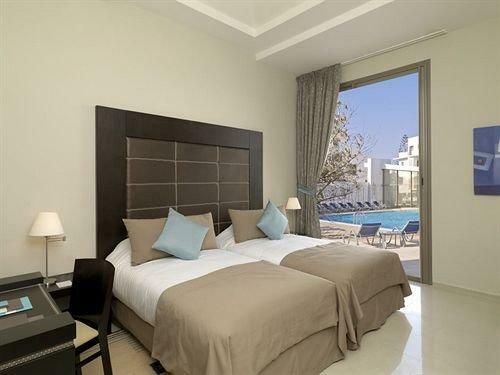 Also there are several local rental companies (5-7 have representative offices in Casablanca airport). They offer lower prices, but be sure to check the vehicle's condition, spare tyre, jack, etc. Local companies may be less proficient in English—but if you are ready for a higher risk, when you rent in an airport try to negotiate with them first; if failed you always have worldwide rivals to go next. Tips which local agency to use are best sought from expats who live in the area because they understand your expectations from experience and most probably don't have anything to gain from sending you to some sketchy agency. Local agencies usually require you to have a working phone. Multinational companies seem to easily share cars with each other (although prices and service level may vary), so if your company of choice doesn't have what you need they may ask from another company. Alamo/National: All Alamo and National Car Rental offices are co-located in Morocco. During low season (November) expect at least 20% discount from the list price if you come without a reservation—at least for economic class (Peugeot 206, Renault Logan Dacia). Deposit is taken as a paper slip of a credit card; Alamo is unable to transfer your slip to the city of your destination if it's different from your starting point. Some economy-class cars (like Peugeot 206) are as old as 4 years, with mileage up to 120,000 km. Some tour operators will arrange for you to hire a 4x4 or SUV with a driver/guide, and offer customised itineraries, including advanced booking in hotels, ryads, etc. Hitching is a routine form of travel in Morocco. Particularly in large farm trucks which supplement income by picking up paying passengers. Price is about half that of a grand taxi. Expect to ride in the back with lots of locals. The official languages of Morocco are Arabic and Berber. However, the local Moroccan Arabic, a dialect of Maghrebi Arabic (spoken in Morocco, Tunisia and Algeria) is very divergent from standard Arabic, so even native Arabic speakers from outside the region would not understand the conversations of locals. However, all Moroccans learn standard Arabic in school, so speakers of standard Arabic should not have any problems communicating in the major cities. Officially about half the population cannot read or write so there are always translators around and people to assist filling in forms (for a small fee) around most places where such forms are required such as ports, etc. Various dialects of Berber are spoken by Morocco's ethnic Berbers. French is widely understood in Morocco due to its history as a French protectorate, and is still taught in schools from relatively early grades, making it by far the most useful non-Arabic language to know. Most urban locals you meet will be trilingual in Moroccan Arabic, standard Arabic and French, but only speak French to foreigners and never among each other. In the north and southern part of the country, many people also speak Spanish instead or alongside French. While knowledge of the English language is increasing amongst the younger generations, most Moroccans don't speak a word, and even those that do will most likely speak better French. Although you will find a few people who speak English among the most educated people, in urban areas most of them are touts and faux guides. Some shop owners and hotel managers in urban centers also speak English. People are used to dealing with the communication barrier that comes with having various Berber dialects - pantomiming, smiling and using even the most broken French will get you a long way. Movie-famous Casablanca might be the most famous of Moroccan cities and is home to the huge Hassan II mosque, the second largest mosque in the world with only the Grand Mosque of Mecca surpassing it. 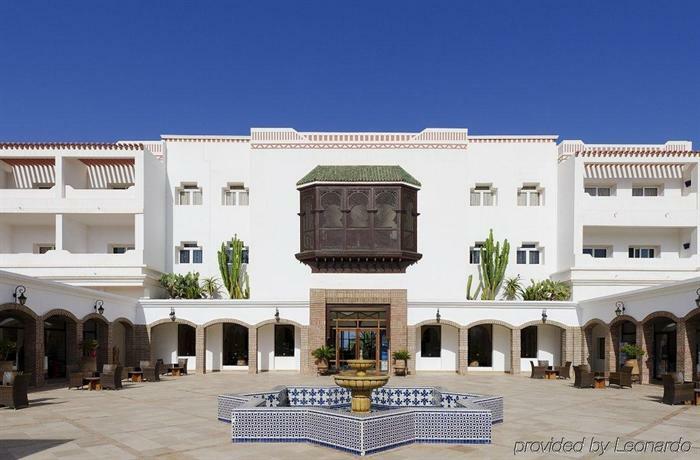 Many travellers quickly leave this vibrant and modernist metropolis on a search for a more traditional Moroccan experience, but admiring the impressive colonial architecture, Hispano-Moorish and art-deco outlook of the city centre is actually time well spent. Marrakesh, known as the "Red City" and probably the most prominent former imperial capital, will leave you with memories to cherish for life. Spend your days wandering through the lively souqs, admiring the old gates and defense walls, see the Saadian Tombs, the remnants of the El Badi Palace and visit the Koutoubia Mosque with its 12th century minaret. However, when evening falls make sure to head back to Jamaa el-Fnaa, the largest square in Africa, as it fills up with steam-producing food stalls. Indulge in the bustling activity there, listen to Arabic story tellers, watch magicians and Chleuh dancers. Fez, once Morocco's capital, is another gorgeous imperial city. Get lost in its lovely labyrinth of narrow Medieval streets, enjoy its huge medina, see the beautiful city gates, the ancient University of Al-Karaouine and the Bou Inania Madrasa. Also, make sure to visit a traditional leather tanning factory. The city of Meknes is often called the "Versailles of Morocco" for its beauty. Its lovely Spanish-Moorish style centre is surrounded by tall city walls with impressive gates and you'll be able to see the 17th century blend of European and Islamic cultures even today. For a more laid-back experience of medina life, catch a sea breeze at the coastal towns of Asilah or lovely Essaouira. The blue-washed town of Chefchaouen is an old time travellers' favourite and a great starting point to explore the Rif Mountains. Other impressive mountain scenery can be in found in the Atlas Mountains. Climb Jebel Toubkal, in the High Atlas, the highest peak in North-Africa, passing lovely adobe villages and exploring the gorgeous Ourika and Amizmiz valleys on the way. The stunning panoramic view from the top will make it worth every bit of your effort to get there. Other praised hiking routes lead through the beautiful Ameln Valley in the Anti-Atlas and the forests of the Middle Atlas. Hop on a camel back for a trip through the golden Sahara sand dunes at Erg Chebbi, near Merzouga. Spend the night in a desert tent, under the incredibly starred sky. Somewhat less easy to reach but therefor also less crowded are the dunes of Erg Chigaga near M'hamid. On your way to the desert, make sure not to miss the stunning Todra gorge near Tinghir. The ancient fortified city of Aït-Benhaddou is another must-see sight. Although rainstorms damage the mud-brick kasbahs time and again, this mostly abandoned village remains an impressive sight and has been the décor for a range of movies, including Lawrence of Arabia and Gladiator. Marrakech can make a good base for exploring the High Atlas or for organizing one to four day Sahara treks. 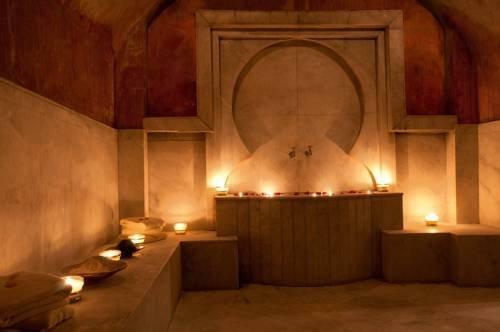 The first is the tourist hammam, where you can go and be pampered and scrubbed by an experienced staff member. As these are promoted only to tourists, they are the more expensive option with pricing usually around 150 dirham for a hammam. They are not proper hammams, but they are nonetheless enjoyable, especially for the timid. Your hotel can recommend a good one. Normal entrance prices for a popular hammam are 7-15 dirham, a scrub will cost around 30 dirham, and a massage another 30 dirham. The local currency is the Moroccan dirham, sometimes symbolised as "Dh", "Dhs, "DH", "??? ?, or the plural form of "?????" or "Dhm" (ISO code: MAD). Wikivoyage articles will use dirham to denote the currency. It's divided into 100 santime or centimes (c). There are 5c, 10c, 20c, 50c, 1, 2, 5 and 10 dirham coins, although coins smaller than 20c are rarely seen these days. Banknotes are available in denominations of 20, 50, 100 and 200 dirham. While the dirham is the only currency officially accepted in Morocco, some hotels may accept your euros and US dollars unofficially. Important notice: Dirham may generally not be exported or imported. A tolerance of 2,000 dirham applies to tourists; more information can be found at the Moroccan customs website. Money exchange: It's illegal to take more than 2,000 dirham of local currency out of the country, so you can't buy dirham outside of Morocco. By law, exchange rates should be the same at all banks and official exchanges. Make a note of the exact rates before you go to make sure you're getting a fair deal. Don't expect to see many banks in the souqs or medinas, although in larger cities there are often an ATM near the main gates, and even one or two inside the large souqs (if you manage to find your way). You may also encounter "helpful" people who will exchange US dollars or euros for dirham. Unofficial exchange on the streets outside souqs or medinas doesn't seem to exist. Besides banks and dedicated exchange offices, major post offices provide exchange, and work until late hours. There are several exchange offices in Casablanca airport. Make sure you keep any receipts, as this will make things far easier when exchanging any left-over dirham back to your own currency before leaving - official "Bureau de Change" won't change money without a receipt, even if you originally withdrew the money from an ATM. ATMs can be found near tourist hotels and in the modern ville nouvelle shopping districts. Make sure that the ATM accepts foreign cards (look for the Maestro, Cirrus or Plus logos) before you put your card in. Also be aware that they are not refilled during weekends in smaller towns, so get enough cash for the weekend on Friday or Saturday morning. Dates: 10 dirham for an orange box seems an adequate price after some bargaining. Leatherware: Morocco has a really huge production of leather goods. Markets are full of mediocre models and designer shops are hard to find. If you're looking for T-shirts, consider designer items by Kawibi—they look much more inspiring than boring traditional set of themes. They are available in duty-free stores, Atlas Airport Hotel near Casablanca and other places. Remember that bargaining in the souks is expected. It is not really possible to give an accurate indication of how much to start the bargaining at in relation to the initial asking price, but a general idea would be to aim for approximately 50% off. Prices are set on a daily, even hourly, basis, depending on how much has been sold on a given day (or period of hours), while also reflecting the vendor's personal estimation of the potential client. The souks are often a good reflection of the basic economic principles of supply and demand, particularly with regard to the demand side. If a lot of products have been sold by a particular merchant he/she will raise the price, and may refuse to sell any more products for the rest of that day (or for days) unless the price is much higher than usual. If there are many tourists around prices go higher and bargaining even small amounts off the asking price becomes quite difficult. In addition, the seller will generally inspect the client, whose dress and possessions (particularly if the potential client sports an expensive Swiss watch, camera, etc.) are usually the main indication of how high the price may be set above the usual. However, the potential client's attitude is also taken into consideration. Taking all this and other factors into account (such as the time of day, day of the week, season), initial prices may be up to 50 times or more in excess of normal prices, especially for more expensive items, such as carpets. Carpets, however, are a very specialized item and it is necessary to have at least a cursory understanding of production techniques and qualities. If possible, an ability to distinguish between hand-made and machine-made carpets, hand-dyes, and the like is helpful to avoid being utterly duped. Never tell a vendor where you are staying and never tell a vendor how much you paid for any other purchases. Just say you got a good price and you want a good price from him or her too. And, above all, never be afraid to say 'No'. Last but not least, when you spend all of your holiday in the same place, especially in smaller, touristy towns: Vendors deal with tourists all the time. Most tourists buy souvenirs just before flying home, most tourists try the "walk out" trick as part of their bargaining strategies. It is not unheard of that tourists haggle for a carpet on a Friday, walk out and when they come back the next day, expecting a lower offer, the price actually increases. The vendor knows that you are likely to catch a flight the same day and that your second visit is actually your last chance to buy the carpet. Moroccan cuisine is often reputed to be some of the best in the world, with countless dishes and variations proudly bearing the country's colonial and Arabic influences; see French cuisine and Middle Eastern cuisine. Unfortunately as a tourist through Morocco, especially if you're on a budget, you'll be limited to the handful of dishes that seem to have a monopoly on cafe and restaurant menus throughout the country. Most restaurants serve dishes foreign to Morocco considering that Moroccans can eat their domestic dishes at home. Apart from major cities, Moroccans do not generally eat out in restaurants so choice is generally limited to international fare such as French, Italian and Chinese cuisine. Bissara, a thick glop made from split peas and a generous wallop of olive oil can be found bubbling away near markets and in medinas in the mornings. Rarely available in touristy places. Couscous made from semolina grains and steamed in a colander-like dish known as a couscoussière is a staple food for most Moroccans. It can be served as an accompaniment to a stew or tagine, or mixed with meat and vegetables and presented as a main course. Manual preparation (i.e. not "instant couscous") takes hours. Any restaurant that has couscous on the regular menu should be avoided, it will not be the real thing. But lots of restaurants serve couscous once a week (usually Fridays) for lunch and advertise this widely - they tend to make real couscous and often for much better prices. Fish on southern beaches is usually very fresh (caught the same day) and cheap. A mixed fish plate comes for about 25 dirham at stalls in the markets of fishing villages, a huge plate of grilled sardines is 15-20 dirham. If bought fresh at the fish market, a kilogram of fish is 5-20 dirham (the latter for a small kind of tuna). Most restaurants in fishing towns have a BBQ in front and will grill any fish you bring them for 30 dirham (includes fries, a salad and bread). Fish is gutted on demand at the markets, just tell them how you want to prepare it (for a BBQ you get a nice butterfly cut, for tagine it is just gutted). A small tip of 1-2 dirham is appropriate for the gutting. Ghoulal: Land snails in a delicious, rich broth can be found at least as far south as Marrakesh at street food stalls. Servings start as low as 3 dirham, in Marrakesh's main square at 10 for the first serving, 5 for every subsequent serving. Harira is a simple soup made from lentils, chick peas, lamb stock, tomatoes and vegetables, that is nourishing but light on the stomach and can be eaten as part of any meal. Most Moroccans have it at least once a week, many every day. It is even part of the traditional first meal after sunset during Ramadan in Morocco: dates, followed by harira. A serving starts at 3 dirham; on menus it is often referred to as just moroccan soup or in French, soupe marocaine. It is probably the most "Moroccan" dish of all and one cannot really claim to have been to Morocco without having tried it at least once. Khlea (also: kaliya) might be more on the adventurous side, taste-wise: meat preserved in fat (mostly lamb, but camel too is produced on industrial scale), usually prepared in a tagine with egg and tomato. The result is very fatty, the meat has a very intense taste and is usually quite chewy. The upside: Starting at 15 dirham, this will get you going for half a day at least. Might be hard to get in touristy restaurants. Pastilla is a popular delicacy in Morocco: Pulled meat in a flaky dough, topped with sugar and cinnamon. Originally made with pigeon fledglings, nowadays the most common variety is made with chicken, though lamb, beef or fish are sometimes used as well. It is sometimes available as a starter on demand, but the real thing is the size of a proper pie and takes hours to prepare. A proper, pre-ordered pigeon fledgling pastilla is at least 200 dirham, 300 to 400 dirham in most touristy places. A large pastilla serves 2 to 4 people. Sfenj: These deep fried donuts from unsweetened yeast dough, dusted with sugar, are a popular and very filling snack that can be found throughout the country for 1 dirham per piece. They want to be eaten very fresh. Look out for stalls with a huge bowl of hot oil. Many cafes (see Drink) and restaurants also offer good value petit déjeuner breakfast deals, which basically include a tea or coffee, orange juice (jus d'orange) and a croissant or bread with marmalade from 10 dirham. At many cheap eating places stews like loubia (white beans), adassa (lentils) and ker ain (sheep foot with chickpeas) are on offer. Snackers and budget watchers are well catered for in Morocco. Rotisserie chicken shops abound, where you can get a quarter chicken served with fries and salad for around 20 dirham. Sandwiches (from 10 dirham) served from rotisserie chicken shops or hole-in-the-wall establishments are also popular. These fresh crusty baguettes are stuffed with any number of fillings including tuna, chicken, brochettes and a variety of salads. This is all usually topped off with the obligatory wad of French fries stuffed into the sandwich and lashings of mayonnaise squeezed on top. You may also see hawkers and vendors selling a variety of nuts, steamed broad beans and barbecued corn cobs. Bottled water is widely available. Popular brands of water include Oulmes (sparkling) and Sidi Ali, Sidi Harazem and Ain Saiss Danone (still). The latter has a slightly mineral and metallic taste. Nothing with a high mineralization produced. As a rule, do not drink tap water at all in Morocco, even in hotels, unless your stomach is "trained": Overall the quality is excellent until it reaches the house and if there is a problem the government issues warnings in time, but how water is stored in the house and the condition of the plumbing is questionable. Since a 1l bottle of water is only 5 to 7 dirham, most travelers will prefer to stick to it instead of taking the risk of 2 days of diarrhea. Any traveller will be offered mint tea at least once a day. Even the most financially modest Moroccan is equipped with a tea pot and a few glasses. Although sometimes the offer is more of a lure into a shop than a hospitable gesture, it is polite to accept. Before drinking, look the host in the eye and say "ba saha ou raha" or just saha'. It means enjoy and relax and any local will be impressed with your language skills. Be aware, that this is not pure mint tea: It is green tea (gunpowder) to which mint is added after an initial steeping. As such, it can be pretty strong, especially if one is not used to caffeine. In deserts, it tends to be really strong. Varieties are tea with chiba (wormwood), available in the winter in the north and with safron, in the region of Ouarzazate. Although a predominantly Muslim country, Morocco is not dry. Alcohol is available in some restaurants, bars, supermarkets (Carrefour and Attacadao), clubs, hotels and discos; some (not strictly legal) liquor stores can be found as well with some research. Lots of Moroccans enjoy a drink although it is disapproved in public places. The local brew of choice carries the highly original name of Casablanca Beer. It is a full flavored lager and enjoyable with the local cuisine or as a refreshment. The other two major Moroccan beers are Flag Special and Stork. Also you can find local judeo-berber vodka, mild anise flavored and brewed from figs (beware, though, none is produced legally and quality control is non-existent - if it the taste reminds you on furniture polish, stay away). Morocco also produces various wines - some of remarkable quality. A bottle in supermarkets start at 35 dirham and go up to 1,000 dirham; a good quality wine can already be had for 50 dirham. In most riads or hotels that serve food but no alcohol, explicitly asking for a bottle of wine will magically make it appear 20 minutes later, though with a markup of at least 100%. Driving under the influence of alcohol is illegal even if you drank just one beer. Cafes and bars are mostly visited by men only, a solo woman may feel more comfortable having a drink or snack at a pastry shop or restaurant. This doesn't apply to couples though. 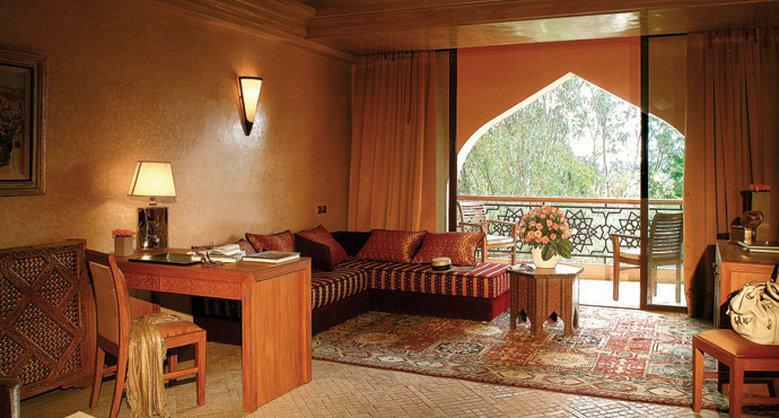 Hotels in Morocco are a matter of choice and fit every budget. Classified hotels are 1-star (simple) to 5-star (luxury), and are classified as an auberge, riad, rural gîtes d'étape or hotel. 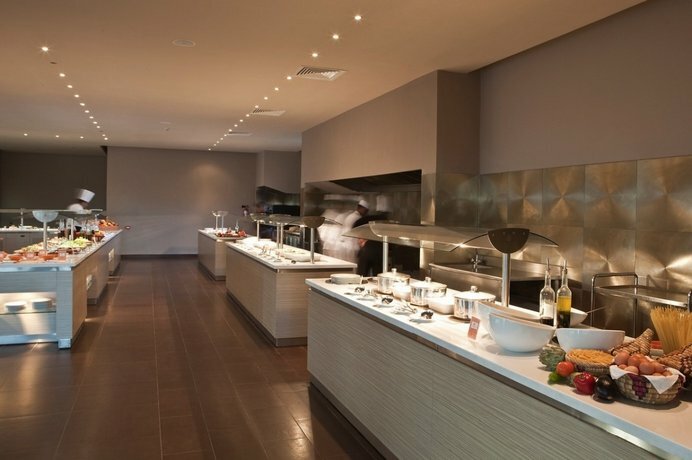 Stays usually include breakfast, and many include dinner. Because coastal towns and villages are the destinations of choice for Moroccans to escape the heat from July to early September and because most Moroccans prefer furnished apartments over hotels, those towns are swamped with apartments. In the summer months and at peak season for Europeans (Easter, Autumn Holidays and from Christmas until mid-February) people will wait at the roadside at the village entrance, waving with keys. In low season you'll have to ask around (any random person on the street will do). Prices range from 75-200 dirham in low season but can be a multiple in high season. If you want to spend more than just a few days, shop around: Within villages the prices don't vary much for comparable places, but quality of furniture, kitchen equipment, internet connection and TV do a lot. In Marrakech, Essaouira and Fes or anywhere there is a medina (old city), small hotels renovated from old houses are called riads. Riads are usually small (about 6 rooms or less), clean and charming, often with to a lovely walled garden where breakfast is served on an inner patio or up on a roof terrace. Riads are usually too small to have a swimming pool, but may have what is called a tiny plunge pool to cool off in during summer months. Some riads are in former merchant houses or palaces and may have large opulent rooms and gardens. Otherwise there are the usual more modern hotels or equivalent found anywhere in the big cities and larger towns around Morocco. On the lower end of the budget scale, HI-affiliated youth hostels can be found in the major cities (dorm beds from around 50 dirham) while the cheapest budget hotels (singles from around 65 dirham) are usually located in the medina. These hotels can be very basic and often lack hot water and showers, while others will charge you 5-10 dirham for a hot water shower. Instead, consider public hammams as there are quite a lot of them in the medina and in rural areas. Newer, cleaner and slightly more expensive budget (singles from around 75 dirham) and mid-range hotels that are sprinkled throughout the ville nouvelles. Many hotels, especially those in the medina have delightful roof terraces, where you can sleep if the weather's too hot. If you don't need a room, you can often rent mattresses on the roof from 25 dirham. For those looking to camp, almost every town and city has a campground, although these can often be some way out of the centre. Many of these grounds have water, electricity and cafes. In rural areas and villages, locals are usually more than happy to let you camp on their property; just make sure you ask first. Wild camping is illegal and the fines are steep; though a friendly request to the local police chief will usually get you the permission. At most places, both in cities and in the countryside, you have the possibility to sleep on the roof or terrace. This will normally cost you 20-25 dirham and you're provided with mattresses and a warm blanket. Just ask the receptionist in the hotel/auberge/gite. If you want to ask in French, which works fairly well, you can say ca sera possible de dormir sur la terrace, s'il vous plait? Often you can bargain on the price and if it's more than 30 dirham you should bargain. Some Moroccans that you meet on the streets have come up with dozens of ways to part you from your money. Keep your wits about you, but don't let your wariness stop you from accepting any offers of generous Moroccan hospitality. Put on a smile and greet everybody that greets you, but still be firm if you are not interested. This will leave you significantly better off than just ignoring them. Faux guides and touts congregate around tourist areas and will offer to show you around the medinas, help you find accommodation, take you to a handicraft warehouse, or even score some drugs. While these men can often be harmless, never accept drugs or other products from them. Be polite, but make it clear if you're not interested in their services, and if they get too persistent, head for a taxi, salon de thé, or into the nearest shop - the shopkeeper will show the faux guide away. Though, if it's a shop frequented by tourists, the shopkeeper may be equally eager to get you to buy something. The best way to avoid Faux guides and touts is to avoid eye contact and ignore them, this will generally discourage them as they will try to invest their time in bothering another more willing tourist. Another way is to walk quickly; if eye contact happens just give them a smile, preferably a strong and beaming one rather than a shy one meaning no! thanks. Responding to everything with a polite but firm la shokran (Arabic for "no, thank you") can be particularly effective, since it doesn't reveal your native language and is understood by bystanders whose attention the tout usually does not want; they might even tell him to leave you alone. Simply la would be considered rude in this context, but can be warranted as well. Pretending you only speak some exotic language and don't understand whatever they say can be an option, too. If you engage in arguing or a conversation with them, you will have a hell of time getting rid of them, as they are incredibly persistent and are masters in harassment, nothing really embarrasses them as they consider this being their way of earning their living. Many Faux guides will pretend they are students when they approach you and that they just want to practice their English and learn about your culture, invariably if you follow them, there is a big chance you will end up in a carpet or souvenirs shop. A variant is they will show you an English letter and will ask you to translate it for them, or will ask for your help to their English-speaking friend/cousin/relative etc abroad. Expect to be told that anywhere and everywhere is 'close'. Invariably, this is not the case, but a con to get you to follow them instead. Do not do this. Do not accept 'free gifts' from vendors. You will find that a group of people will approach you accusing you of stealing it, and will extort the price from you. Always insist that prices are fixed beforehand. This is especially true for taxi fares, where trips around a city should cost no more than 20 dirham, in general, or be done on the meter. This cannot be stressed enough. In all situations (including Henna tattoos) always agree on a price before!When bargaining, never name a price that you are not willing to pay. At bus/train stations, people will tell you that there have been cancellations, and that you won't be able to get a bus/train. Again, this is almost always a con to get you to accept a hyped-up taxi fare. In general, do not accept the services of people who approach you. Never be afraid to say no. Try to learn at least a phrasebook level of competency in French or Arabic (Spanish may help you in the North - but not largely). Just being able to say "Ith'hab!" or "Seer f'halek" ("Go Away!") may be useful to you... Many locals (especially the nice ones who are not trying to take advantage of you) will speak limited English. If you can at least verify prices in French with locals, you could end up saving a lot of money. You won't need high and heavy mountain boots unless you go in coldest time of the year like February: it's quite warm in the country even when it's heavy raining in November. Even in medinas, streets are paved if not asphalted—just be sure your footwear is not toeless in medina, as it may be dirty or unsanitary. Morocco operates Daylight Saving Time except for during Ramadan. The further south you go, the more people refuse to use daylight saving time (also called "political time" in contrast to "wild time"); state-run places there will always obey DST, merchants not necessarily. Overall, Morocco remains a relatively safe place; however, homosexuality is criminalised and is punishable by up to 3 years in prison in both Morocco and Western Sahara. Gay and lesbian tourists should be self-aware and careful. In 2014, 70-year-old British traveller Ray Cole was prosecuted and imprisoned for four months after police searched his mobile telephone and found incriminating photographs. He ended up sleeping on the floor of an overcrowded Moroccan prison filled with hardened criminals, despite interventions of the UK Foreign Office and a British member of parliament on his behalf. Like any country, Morocco has its share of problems. Many can be easily avoided by following common sense. Avoid dark alleys. Travel in a group whenever possible. Keep money and passports in a safety wallet or in a hotel safety deposit box. Keep backpacks and purses with you at all times. Make sure there is nothing important in outside or back pockets. There is some intolerance for public practice of non-Abrahamic religions and non-Sunni denominations. Women especially will experience almost constant harassment if alone, but this is usually just cat-calls and (disturbingly) hisses. Don't feel the need to be polite — no Moroccan woman would put up with behaviour like that. Dark sunglasses make it easier to avoid eye contact. If someone won't leave you alone, look for families, a busy shop, or a local woman and don't be afraid to ask for help. If you are so inclined, you could wear a hijab (headscarf), but this is not necessary. Morocco can be a liberal country and many Moroccan women do not wear headscarves. However, women should always dress conservatively (no low-cut tops, midriffs, or shorts), out of respect for the local culture. In cities, women can wear more revealing clothing, but as a general rule they should follow the lead from local women. Locals will also assume that Moroccan women venturing into ville nouvelle nightclubs or bars alone are prostitutes in search of clientèle. Foreign women entering such places will be not be so considered but will be thought of as approachable. Be careful about being drugged, especially as a solo traveller. The common and easy-to-make drug GHB only lasts 3 hours and is undetectable in the body after 7 hours, so if you are attacked take action immediately. Hustlers can be a big problem for people travelling to Morocco, and Tangier in particular. It's often difficult to walk down the street without being accosted by somebody offering to give you directions or sell you something. Your best bet is to politely refuse their services and keep walking, as all they are after is money. There are some legitimate tour guides, but your guide will receive a commission on anything you buy while you're with them, so don't let yourself be pressured into purchasing anything you don't want. Driving under the influence of alcohol is strictly illegal even if you took just one beer. In certain places, hustlers will do their best to intimidate you, and they can be very clingy, insisting that you give them money or offering their 'services'. Don't be intimidated by this; usually a firm "No" does the trick. Some of them can get nasty and abusive but before it gets to that stage walk towards a shop or crowd. Most Moroccans would immediately tell the person off if they see that you are being harassed. Armed fighting in the disputed areas of the Western Sahara is less frequent now, but clashes between government forces and the Polisario Front still occur. Don't wander too far off the beaten path either, as this region is also heavily-mined. Inoculations: No particular inoculations are needed for Morocco under normal circumstances, but check with the US's Centre for Disease Control (CDC) travel web pages for any recent disease outbreaks. As with most travel, it makes good sense to have a recent tetanus immunization. Consider Hepatitis A and B inoculations. Food and Drink: Avoid uncooked fruits and vegetables that you can not peel. Avoid any food that is not prepared when you order it (e.g. buffets). Usually fried and boiled foods are safe. Some travellers have also had problems with unrefrigerated condiments (such as mayonnaise) used in fast food outlets. Shoes: Keep your sandals for the beach. Moroccan streets double as garbage disposal areas and you may not want to wade through fish heads and chicken parts with open-toe shoes. Malaria: Present in the northern, coastal areas of the country but not a major problem. Take the usual precautions against being bitten (light coloured clothing, insect repellent, etc.) and if you are really worried see your doctor about anti-malarial medication before your departure. Pharmacies are denoted by a green cross, usually in neon. They sell medicines, contraceptives, and often beauty and related products. For minor problems, they double as a medical advisor. Be prepared to describe your problem even when you know exactly what you need. Medical treatment can be obtained from self-employed doctors, clinics and hospitals. Most general practitioners, specialists, and dentists are self-employed; look for signs saying "Docteur". An average doctor’s check-up in a city costs 150-300 dirham. In general, the quality of their work is decent, but you can try to ask some locals for advice and recommendations. There are few English-speaking doctors, though French is widespread. Government hospitals are cheap and okay for minor injuries and minor problems, but they tend to be very crowded and for anything serious, a private clinic is generally preferable. Treatments in private clinics will be quite expensive and travellers will be required to pay for any treatment received up front. Greetings among close friends and family (but rarely between men and women!) usually take the form of three pecks on the cheek. In other circumstances handshakes are the norm. Following the handshake by touching your heart with your right hand signifies respect and sincerity. When approaching someone or when entering a shop, cafe or restaurant a "Salaam Alaykum" (~"peace upon you") is expected; when greeted this way, the traditional response is "Wa Alaykum Salaam" or just "Alaykum Salaam" (~"and peace upon you too"). Both greetings are also accompanied by the right hand going to the heart. In informal settings, just "Salaam" is sufficient, but it is considered rude when used with people you don't know. Calling someone "Sidi Mohammed" (~ "honorable Mohammed") is the established way to address someone whose name you don't know. Left hands used to traditionally be considered 'unclean' in the Muslim religion and Amazigh nomadic cultures, as they used to be reserved for hygiene in toilets. As in many cultures it could be considered impolite to shake hands or offer or accept something from someone with your left hand, more so is giving money by your left, so try to avoid that. While left-handed people may get an occasional exclamation, and local children may get pressured by parents to use their right in traditional societies, most people will understand if you do your own business with your left hand. If your right is busy, it is normal to offer the wrist of your left hand for shaking hands. Trying to exclusively use your left hand for anything "dirty" (like petting stray cats and dogs) and to keep the right hand clean is a good way to prevent traveler's diarrhea. Elders: Moroccans still have the tradition of strongly respecting their elders and the sick. If someone who is handicapped, or older than you are is passing, then stop and allow room for them. Or if a taxi arrives and you are waiting with an elder, then you should allow the older person to take precedence over you. Tourists are not held to these expectations, but it improves regard for tourists in Morocco when they adhere to the same traditions. Drugs: Smoking kif or hashish is part of Moroccan culture and widely tolerated (though officially illegal). Even police do not care about small amounts that are clearly only for personal use. But it is frowned upon to get stoned early in the day and one does not smoke on crowded beaches or in cafes or restaurants without the owner's consent - it is OK, even expected, to ask for permission. Opium is also an established drug, but only for medicinal purposes. Drinking alcohol in public is an absolute no-go. Ramadan: The holy month is observed by almost every Moroccan. As a tourist one is not bound to observe it but refraining from eating, drinking, smoking, bubble gum-chewing or candy-sucking in public will make you lots of friends. In touristy places, restaurants and cafes are open all day and serve drinks or food, but, if at all possible, one should sit inside, out of the public's view. Public telephones can be found in city centres, but private telephone offices (also known as teleboutiques or telekiosques) are also commonly used. The international dialling prefix (to dial out of the country) is 00. All numbers are ten digits long, counting the initial 0 and the whole number must be dialled even for local calls within the same area code. The mobile telephone network in Morocco can be accessed via one of major operators: Orange, Inwi or Maroc Telecom. Network coverage is generally good at least in populated areas but mostly also in the countryside; Maroc Telecom (IAM - Ittisalat Al Maghrib, owned by Etisalat) and (Orange) has by far the best coverage in rural areas (including most parts of Western Sahara). SIM cards can be purchased with an ID; the card itself is free, the fee paid is credited to the account (as of 2017). They can be purchased in various shops that sport the official logo but not in all (rule of thumb: not in a kiosk, but any electronics shop works and of course the official stores of the companies) - Arabic and French both use "SIM", repeating the word will either get you the SIM or directions to the next shop where you can get one. Top-ups come in the form of scratch cards for 5 to 100 dirham which can be purchased literally everywhere, just look out for the logo of the phone company. The cards are used by sending the scratch code to some number which is explained on the scratch card itself: 555 for Maroc Telecom and Orange, 120 for INWI. Data plans are available for as little as 5 dirham per 500 Mb. More information on available services, coverage and roaming partners are available at: GSMWorld. Beware that roaming with international cards from most countries is very expensive, so think about buying a local card. Moroccans have really taken to the internet. Internet cafes are open late and are numerous in cities and smaller towns that see significant tourist traffic. Rates are 3-4 dirham per hour and they are often located next to, above, or below the telekiosque offices. Speeds are acceptable to excellent in the north, but can be a little on the slow side in rural areas. Most internet cafes will allow you to print and burn CDs for a small charge. Almost every restaurant and cafe offers wifi for free with usually acceptable speed. Moroccans have also really taken to 3G and 4G/LTE coverage. There is a good access to email and the internet via Mobile Phones and it is relatively inexpensive. There is 3G access even in the desert, as well as in all cities. You can easily use the mobile internet network by buying a prepaid card (see mobile section). For Maroc Telecom, data-only packages can be purchased by appending "*3" to the top-up code. As of 2017, fiber connections are rolled out throughout the country, with newly installed 4G-towers as backup. In 2013, the French military assisted the Malian government in efforts to repel armed rebels. Terrorist groups in the region declared their intention to increase attacks and kidnappings targeting Westerners. While the United Nations peacekeeping mission in Mali has been supporting the transitional authorities in stabilizing the region since July 2013, citizens of countries supporting the intervention are still at particular risk, but all travellers should exercise increased vigilance in the region. Western Sahara is a non-autonomous territory whose political and legal status has yet to be determined through the United Nations. Although the Government of Canada does not recognize Moroccan sovereignty over Western Sahara, you are subject to the laws and regulations of Morocco, which unilaterally administers the territory. Because of the remoteness of Western Sahara, the Government of Canada may be extremely limited in its ability to provide assistance in this region. Restrict travel to officially designated tourist areas if you choose to travel to this area. Western Sahara is a former area of conflict still littered with unexploded landmines, particularly in remote regions. Seek local advice prior to travelling to the desert areas in the south and hire only official guides recommended by hotels, travel agencies or local tourist authorities. A four-wheel-drive vehicle and appropriate supplies are essential for off-road driving in the mountains or the desert. There is a general threat of terrorism in Morocco and past attacks have targeted foreigners. On April 28, 2011, a terrorist attack at a restaurant on Jemaa el Fna Square, a popular tourist site in Marrakech, resulted in several deaths and numerous injuries. Exercise caution in public places, monitor local news reports, avoid demonstrations and follow the advice of local authorities. There is a general threat of kidnapping in the border and remote regions of Morocco. Maintain a high level of vigilance at all times, especially when travelling in the southern and border areas of Morocco. Demonstrations occur and have the potential to suddenly turn violent. Demonstrations take place mainly on Friday afternoons and on Sundays. They can lead to significant disruptions to traffic and public transportation. Avoid all demonstrations and large gatherings, follow the advice of local authorities and monitor local media. Women travelling alone may be subject to certain forms of harassment and verbal abuse. Consult our publication entitled Her Own Way: A Woman’s Safe-Travel Guide for travel safety information specifically aimed at Canadian women. Petty crimes—notably pickpocketing, purse snatchings (sometimes by motorcyclists), scams and other thefts—take place frequently in the medina, market areas, in parks and on beaches. Thefts occur around automated banking machines. Credit card fraud is also frequent. Panhandling is increasing and some panhandlers can be aggressive toward tourists. Ensure that your personal belongings are secure and do not show signs of affluence, particularly when walking at night. Do not accept food, drink or invitations from strangers, or change your planned itinerary at their request. While Moroccans are generally very friendly and hospitable, you should always exercise common sense and travel wisely. There have been reports of tourists being taken to certain stores and intimidated into making purchases. Stay on major roads, especially in the medinas, exercise caution and politely but firmly decline. Exercise caution in the mountainous Rif region, on the northern coast of Morocco, since drugs are produced in this area and tourists are occasionally tricked into unknowingly committing drug offences. Road conditions vary according to location and weather (for example, in the high mountains or during the rainy season). National roads are generally in good condition but narrow and heavily congested. Driving is generally easier on the highways. Morocco has a very high traffic mortality rate. Despite police enforcement, traffic regulations are not respected by all drivers. Pedestrians, scooters and animals on roadways can also pose risks. Avoid driving at night. If an accident occurs, first ensure your personal safety, but avoid moving the vehicles before the police arrive, if at all possible, even if this makes the traffic jams worse. If no one has been hurt, an accident report drawn up by the parties involved will suffice. Carry your identification and vehicle documents at all times, as checkpoints are frequent. Be extremely careful when driving on the Rabat–Casablanca highway, and on certain national highways because of high traffic volume. Accidents, which are numerous and often attributed to poor driving practices, have resulted in serious injuries and deaths. The rail network is developed, reliable and safe. The border with Algeria is closed. Do not attempt to cross into Algeria by land. Exercise caution if travelling to Morocco for romance, especially in cases of relationships initiated on the Internet. Find out beforehand about the country’s customs and laws on conjugal relations and marriage. Ensure that you hold on to your return plane ticket, your money and your passport in case problems arise. For more information, consult our Marriage Overseas FAQ and our Overseas Fraud page. While swimming conditions in tourist areas are generally safe and problem-free, public beaches in major cities are often polluted and unfit for swimming. Check with your hotel for advice on conditions. Dial 19 for police services and 15 for firefighter or ambulance services. Travellers to any destination in the world can develop travellers’ diarrhea from consuming contaminated water or food. In some areas in North Africa, food and water can also carry diseases like hepatitis A, schistosomiasis and typhoid. Practise safe food and water precautions while travelling in North Africa. Remember: Boil it, cook it, peel it, or leave it! In some areas in North Africa, certain insects carry and spread diseases like Crimean-Congo hemorrhagic fever, leishmaniasis, malaria, Rift Valley fever, and West Nile virus. Travellers are cautioned to avoid contact with animals, including dogs, monkeys, snakes, rodents, birds, and bats. Certain infections found in some areas in North Africa, like avian influenza and rabies, can be shared between humans and animals. Rabat, Casablanca and Marrakech have good, private medical facilities for non-emergencies. The services provided in public facilities do not compare to those in Canadian facilities. Services may be limited elsewhere. Doctors and hospitals often expect immediate cash payment. Public alcohol consumption is prohibited. Transgressions could be punished by detention or other penalties. Penalties for possession, use or trafficking of illegal drugs are strict and judgment is expeditious. Unauthorized importation of Bibles or other religious material is prohibited, except for personal use. Religious proselytizing is forbidden. Extramarital sexual relations are illegal. Hotels will refuse to allow couples who are unable to provide proof that they are married to stay in the same room, although foreigners are almost always exempt from having to provide proof. Public displays of affection are frowned upon. Possession of pornographic material is illegal. Photographing military or security interests can result in problems with authorities. It is illegal for visitors arriving by private boat to enter Morocco other than at a recognized port of entry. Criticizing Moroccan institutions or the monarchy is a crime and may result in imprisonment. Children of Moroccan fathers automatically acquire Moroccan citizenship at birth, regardless of where they were born. Children must have their father’s permission to travel, regardless of whether they are travelling on a foreign or Moroccan passport. Consult our publication entitled Dual Citizenship: What You Need to Know for more information. Islamic practices and beliefs are adhered to in the country’s customs, laws and regulations. Dress conservatively, behave discreetly, and respect religious and social traditions to avoid offending local sensitivities. The local currency, the Moroccan dirham (MAD), cannot be exchanged outside of the country and it is illegal to take any out of Morocco. Unused dirhams can be reconverted to hard currency at the airport exchange counter upon departure, provided the wickets are open and you have kept the receipts for the dirhams purchased. Exchange only as much money as needed. Credit cards and traveller’s cheques are accepted in certain stores and restaurants in urban centres, and in major hotels. The rainy season extends from November to March. Flash floods can be frequent and sometimes severe during this period. They can be especially dangerous in the High Atlas Valley area. Monitor regional weather forecasts and plan accordingly. Morocco is located in an active seismic zone.